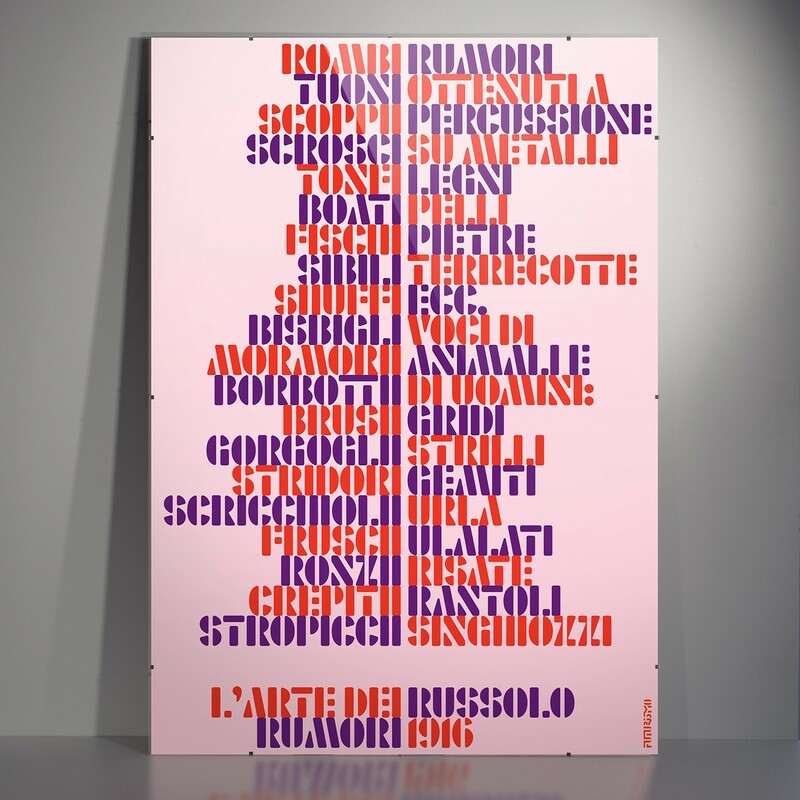 Rumori S is a stencil variant of MuirMcNeil Rumori, a reconstruction of the wood type used as titling on the front cover of ‘L’Arte dei rumori’, a Futurist manifesto based on correspondence between Luigi Russolo and Francesco Pratella in 1913 and published in Milan three years later. The design of the original Rumori typeface is not a revival of a historical form in the traditional sense. Based on only 10 surviving titling characters on the front cover of Russolo’s manifesto, it is more of a reinvention, its characters drawing on the armature of various grotesques and gothics from the period. Rumori S extends this speculative approach in a set of bold stencil letterforms conforming closely to the original Rumori contours with deference to Futurist sensibilities. Rumori S also references the model of several pioneering modernist alphabets created in the early twentieth century in which letters were broken down into small sets of geometric components used to build alphabets by means of scaling, reflection, repetition and redistribution. Rumori S is available for licensing from MuirMcNeil in a single bold stencil weight with corresponding italics, in sharp (Chiari) or soft (Morbidi) versions, the latter intended to suggest the worn impression of old wood letters. All versions are available in the Adobe OpenType Standard Latin character set.